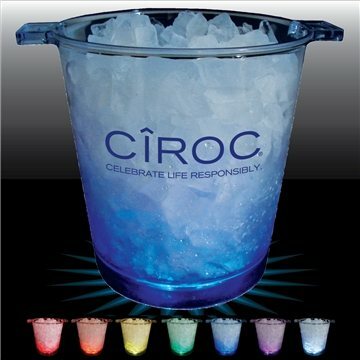 Our clear Ice Bucket features 5 super bright white LED lights encased in the dome color of your choice. The good part is that none of the product was affected or damaged. Thank you!! Loved everything about it. No complaints they printed the logo on two sides and it was great quality. Customer service was excellent and fast, would definitely order this product and others from this site again. We will use your company in the near future.